Oliver Phommavanh loves to make people laugh, whether it’s on the page writing humour for kids or on stage as a stand-up comedian. He also shares his passion for writing with kids, using his experience as a primary school teacher. 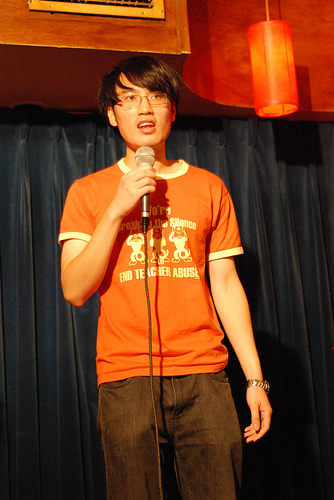 Oliver has performed at various comedy and writers festivals around Australia and Asia. 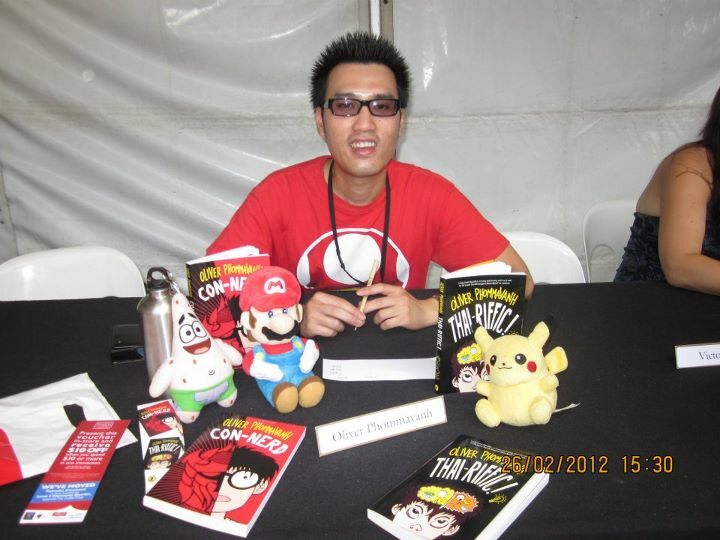 Oliver’s recent books include Don’t Follow Vee and Natural Born Loser, and he is best known for Thai-riffic!, Con-nerd and The Other Christy. Oliver Phommavanh loves to make people laugh, whether it’s on the page writing humour for kids or on stage as a stand-up comedian. 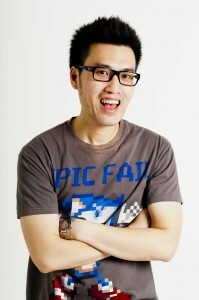 He also shares his passion for writing with kids, using his experience as a primary school teacher. Oliver’s books are packed with laughs, but also carry a lot of heart and authentic characters living in a multicultural Australia. 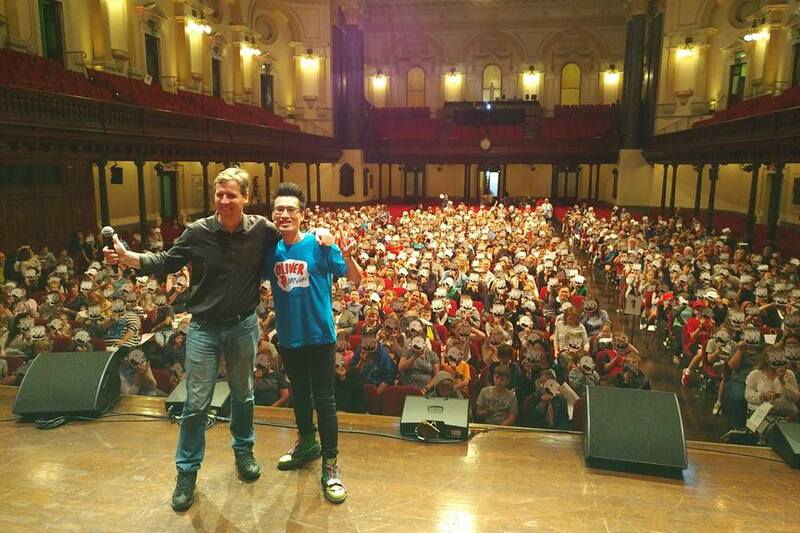 As a comedian, Oliver has appeared on stage, and on national TV (The NRL Footy Show) and radio. He has also appeared in numerous anthologies such as Growing Up Asian in Australia, Funny Buggers, Trust Me Too and more recently in the 2016 CBCA Notable Book, Rich and Rare. Oliver is a fresh, positive voice for cultural diversity in children’s literature and has appeared in countless writers, arts and comedy festivals across Australia. 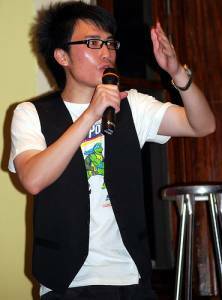 He has also traveled overseas, appearing in the Festival of Asian Content in Singapore in 2016, Bookaroo Children’s festival in India and Auckland Readers and Writers Festival in 2014. In 2017, he went to Hong Kong for the Young Readers Festival and Macau for the Script Road festival. 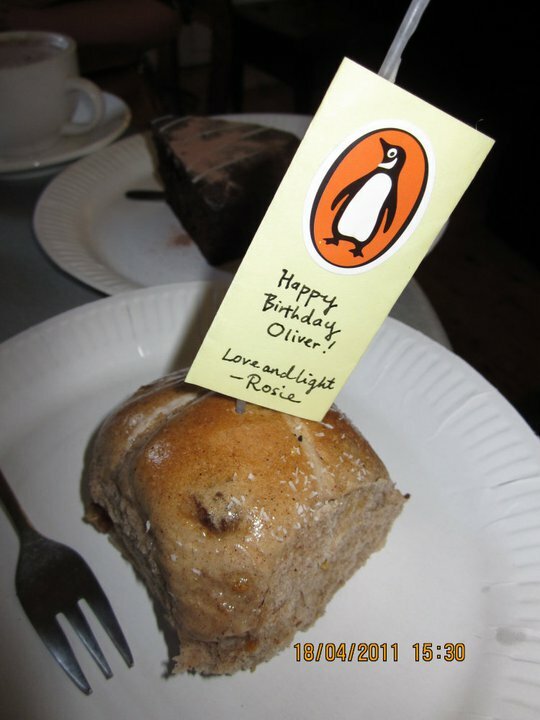 In 2018, Oliver has continued to travel around Asia, with the Singapore Writers Festival’ Words Go Round program, Sharjah Children Reading Festival and NEEV festival in Bangalore, India. This year, Oliver will return to India for the Disha Literature Festival. Oliver’s first book Thai-riffic! 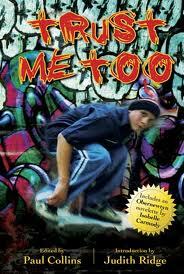 was published in 2010 and has made an impact on the literature scene, winning the hearts of many kids and adults alike. It has been on the shortlist for the Young Australia Best Book Awards (YABBAs) and Kids Own Australia’s Literature Awards (KOALAs) for five years straight, earning a place in the KOALA Hall of Fame. Thai-riffic! has been adapted for stage and made it’s premiere in Sydney’s Seymour Theatre and Monkey Baa Theatre in July 2017. Oliver followed Thai-riffic! up with Con-nerd, which has also resonated with readers, shortlisted in both the YABBAs and KOALAs for the last three years running. It was also included in the NSW Premier’s Reading Challenge. In 2012, Oliver released Punchlines and the sequel to Thai-riffic, Thai-no-mite. In 2015, Oliver brought out a book for the Stuff Happens series called Ethan. He followed that up with the CBCA Notable book, The Other Christy in 2016. In 2017, he released Super Con-nerd, the long-awaited sequel to Con-nerd. Oliver’s new book, Natural Born Loser came out last August to rave reviews. He is also featured in a collection of short stories called Total Quack Up (raising funds for Dymocks Children Charities) and an anthology called A Miniature Christmas by Christmas Press. In 2019, Oliver will be one of the editors for Funny Bones, an anthology of jokes and stories to raise funds for War Child. Oliver’s next book, Don’t Follow Vee will be out in May. Oliver is also proud to be a Room To Read Author Ambassador, a non-profit organisation that brings literature to kids around the world. He is also a Books in Homes role model and an ambassador for the NSW Premier’s Reading Challenge. Now for anyone doing an assignment on me…I’m really honoured 🙂 Check out my Q and A page and ask me a question too and I’ll add it to the page. When I was a kid, I used to be a class clown. Teachers would tell me that I needed to grow up. But I had a better idea. Why don’t I choose a job where I can act like a kid and make jokes for a living! I grew up in Western Sydney and I’m still proud to be a westie today. I loved to read as a kid. My favourites were Paul Jennings and Morris Gleitzman books. My teachers read those cool short stories from the ‘Un’ series, and they still freak me out, like ‘Sheep Eyes’ and the one about the flies. Fantastic stuff! I also loved Andy Griffiths’ Just series too. In high school, I had fun mucking around with English speeches and debates. I used to have up to 200 cue cards (most of them blank) and chuck them up in the air at the end like Paul Mc Dermott does on Good News Week. Another highlight was going to a school excursion to Old Sydney Town (an olden days theme park that is no longer around) and I got picked to in a short play with a judge. I didn’t follow the script and just made up lines on the spot! Even the cool kids came up to me and liked my zany jokes. That’s when I knew I wanted to be a comedian. I still kept reading and writing because I’m proud to be a nerd…I mean bookworm. I went to the University of Western Sydney and completed a writing degree. But I also wanted to be a teacher, so I did a teaching degree at Sydney University. I really enjoyed my teaching days, because I get to use my imagination and the kids gave me so many ideas. 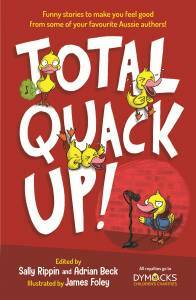 I reckon kids are little masters of comedy, and the characters in my stories explore the wacky side of everyday life. When Thai-riffic! came out, people said that I must have been happy that my dream came true now. They’re wrong. I’ve been living my dream since I was a kid, making people laugh. I’ve met so many people who have become my fans (I call them cHEwY gum gums) and they keep me going. My second book Con-nerd came out in 2011. It’s a book that I’m really proud of because I want to celebrate nerds, they’re cool…okay, sort of cool. It’s based on my own childhood, about following your dreams. Many kids have written to me, saying that they can relate to the pressure that Connor’s family puts on him. 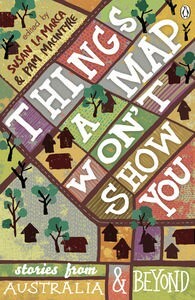 I’ve had two books out in 2012. Punchlines, came out in March and it’s about stand up comedy (see how these books revolve around my life?). I was able to draw out my own awkward experiences in high school for laughs, it’s another story close to my heart. The other book was the long awaited sequel to Thai-riffic!, called Thai-no-mite. Lengy fans have lapping up his funny adventures and I can’t wait to write another one soon. After a short break, I returned with Stuff Happens: Ethan in early 2015. It was a lot of fun, working this cool series for boys. Each author got to write about one boy in a school. It was nice to be part of something with the likes of James Roy, Will Kokastis and James Valentine! My new book The Other Christy came out in June 2016 and it’s a tender sweet tale about 2 girls who share the same name, but nothing much else. But eventually they’ll become friends! In 2017, Super Con-nerd came out in June (Nintendo reference haha). Last year, I released my 8th book, Natural Born Loser (another life-story haha). This year, I’ll be bringing out a brand new book called Don’t Follow Vee. I’m working on a few projects including a few other sequels too…watch this space. 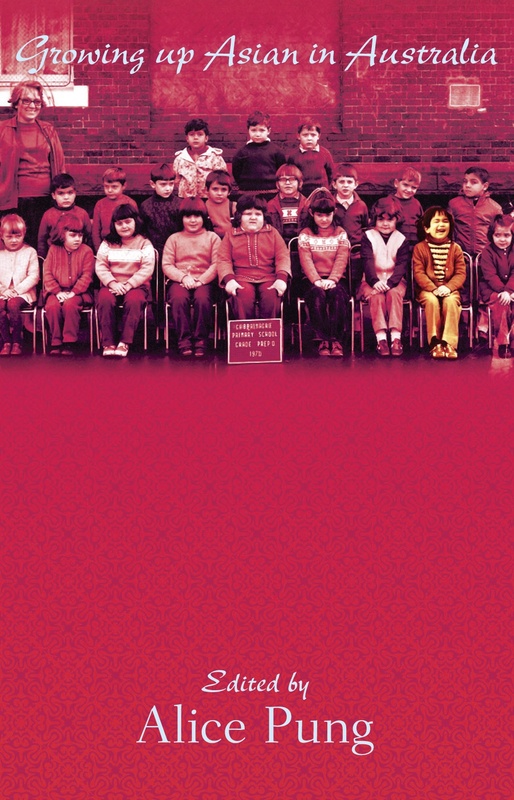 I’ve also had many short stories published over the years, starting with Growing Up Asian in Australia in 2008. I’ve had ‘The Reunion’ featured in the ‘Trust Me Too’ anthology, published by Ford St Publishing; ‘Introducing Wendy’ in Places a Map Won’t Show You and various jokes in ‘Funny Buggers’ (both published by Penguin). 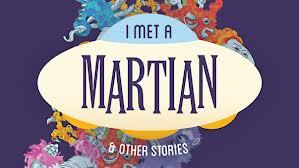 ‘First Dog to Mars’ is now available in the Sydney Story Factory’s collection, ‘I met a martian and other stories’. More recently, I’ve had ‘My Brother’s Keeper’ published in another Ford Street Publishing anthology called Rich and Rare. It’s now a CBCA notable book in 2016! 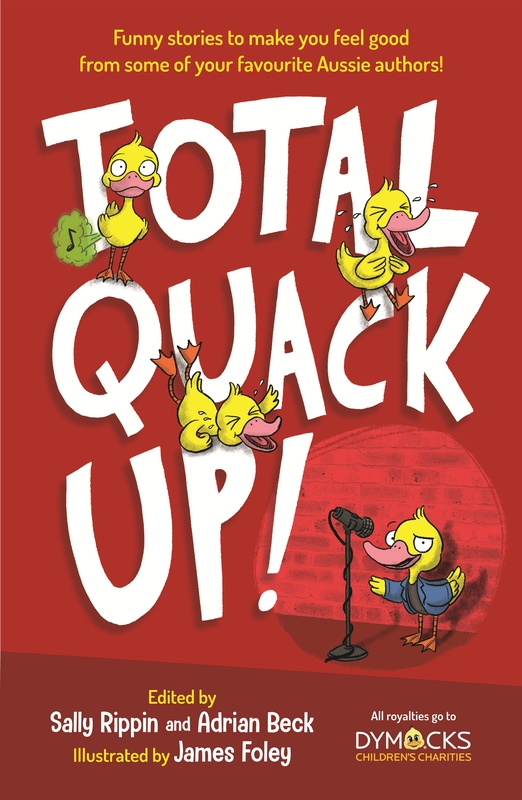 I also had a short poem published in Total Quack Up in October 2018, a collection of funny stories that is raising funds for Dymocks Children’s Charities. I’ve also had a story called the Funactor for the Christmas Press anthology, A Miniature Christmas, which came out in November 2018. I’m working on some more short stories, so stay tuned for more news. Ever since my first writers festival appearance in Brisbane in 2010, I’ve been lucky to have featured in many of the major festivals across Australia. 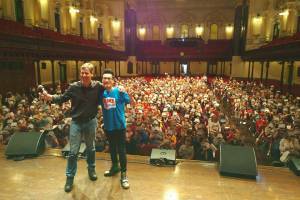 I’ve done writers festivals in Sydney, Perth, Brisbane and Melbourne. I’ve also done many inter-school literary festivals like the WhitSundays Festival, Somerset Festival (now called Storyfest) and Voices on the Coast, as well regional festivals such as the Bryon Bay Writers Festival. No matter where I go, I’m always entertaining cHEwY gum gums with my funny, irrelevant and inspiring talks. I’ve also branched out across the world, doing Auckland Writers Festival in 2013, the Aussie Writers Week in China and the Bookaroo Festival in New Delhi in 2014, the Asian Festival of Children’s content in Singapore in 2016. In 2017, I went to The Script Road festival in Macau and Hong Kong’s Young Readers festival. Then last year, I travelled to Singapore for the Writers Festival’ schools program, Words Go Round and also the Sharjah Children’s Reading festival, NEEV festival in Bangalore, India. 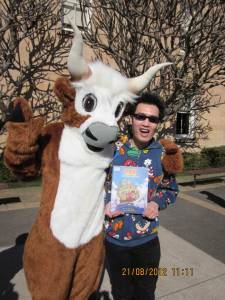 Basically, I go to places so I can make kids laugh, spread my books around and also eat burgers haha. I spend more than half my year, visiting schools across Australia and the world. I love making kids laugh and getting them pumped up for reading. I also do creative writing workshops, with a focus on humour. I also do Teacher PD sessions, focusing on getting reluctant writers to create stories. I’ve been featured at Pearson’s Teacher Conference in 2014. I’ve also spoken at countless teacher-librarian conferences, talking about my love of books and how to gets kids engaged with reading. If you’d like more information on how to get me to your school or group, contact me. I’m proud to be a member of the Australian Society of Authors (ASA), Children’s Book Council of Australia (CBCA) and Society of Children’s Writers and Illustrators (SCBWI). I’m also on the committee of the CBCA Northern Sydney Sub branch. Through many awesome authors and illustrators, I’ve joined their worthy causes, such as Room to Read and Books in Homes. I’m also an author ambassador for the NSW Premier’s Reading Challenge. When I’m not writing or touring for my books, I do a handful of comedy gigs. 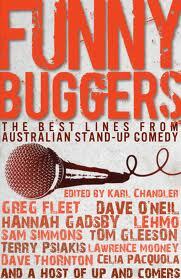 I’ve been lucky to be on shows like Stand Up Australia and the NRL Footy Show, doing comedy. I’ve also performed across Australia, but mostly in Sydney. I still love comedy so it’s a real treat to still be on stage making adults laugh.